Coffee is the beverage that makes your Monday less tiring and your weekend seem longer. We could say that coffee is the original black magic – are you with me? Tasting various types of coffees is a pure joy for me. There are days when I enjoy having my coffee black and low-calorie (so that it can wake the dead). Other days, however, I prefer a creamy flat white or a latte. And on hot summer days, my go-to is the Vietnamese iced coffee. Also known as Café Sua Da, Vietnamese iced coffee is a favorite beverage for summer days. It is equally strong, yet syrupy sweet – which is the perfect, unexpected combo for the summer. 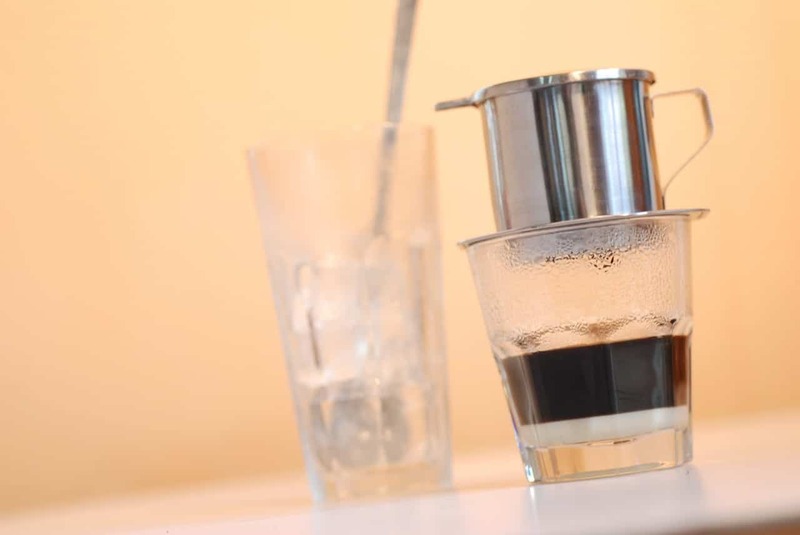 This kind of coffee is brewed with a traditional Vietnamese-style press pot. Typically, you place this over a glass, and the coffee then nicely drips down into the ice, over the condensed milk. This piece of equipment could make the world of a difference. 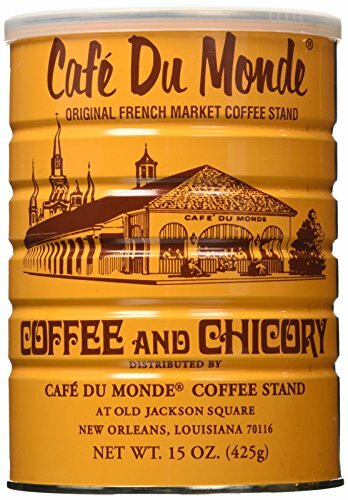 However, if you don’t own one, you could use the French press instead. Bear in mind though; I wouldn’t advise you to drink this in the evening if you hope to get some sleep anytime soon (especially if you prefer a stronger brew like me). In today’s article, I will present to you the steps you need to follow to prepare this delicious beverage at home, what you’ll need, and other handy tips. Start by pouring the condensed milk in the glass. You could include smore than one tablespoon, depending on your taste. Place approximately 2 tbsp. of ground coffee in the press pot after removing the top screen of filter. Make sure that the little lid stays put underneath it while you pour in the coffee. This way, you reduce the amount of sediment reaching to your coffee. The next step is assembling the press pot. Screw the top filter item into the pot. At this stage, you can decide how strong you want your coffee to be. Tight = slow yet strong brew, loose = fast but weak brew. Considering that we add the coffee to condensed milk, the milk will dilute its flavor, which is why I prefer a strong brew. Pro Tip: One of the main decisions you have to make is to determine how strong and sweet you want your coffee to be. I wouldn’t recommend placing less than one tablespoon of espresso, or more than two tablespoons of espresso. Espresso sized grounds are best since they are somewhere between a medium to dark roast. Traditionally, Vietnamese coffee is made with Arabica coffee beans. Coffee is separated into Robusta and Arabica. Arabica is more widespread than Robusta, and it is on the pricier side. It has a fruity, round flavor. As for Robusta, it grows in Indonesia and Africa, and it is not as common. It has more caffeine, and its flavor is a bit harsher. Next, you should place the pot on the top of your glass. Add the boiling water as well. 202 Fahrenheit degrees is the ideal temperature for brewing the perfect coffee. In other words, you should add it before it starts boiling. Add the water until it reaches the top of the pot. Be careful to avoid any spilling. Next, place the lid on the top to keep the heat inside. At this point, your patience will be tested. Hang in there! As I already noted, the stronger you wish the coffee to be, the slower it will brew. If it is too slow, you could always loosen the press a bit. On the opposite, if it is too fast, tighten the press. Remember, practice is the secret to becoming more knowledgeable when it comes to coffee. So keep testing until you find how you like your Vietnamese iced coffee best. As soon as the dripping stops, you should check the water level. If the water is gone, your coffee is almost done. Remove the lid and place it upside down. Afterward, set the press pot on the lid. This way, you can prevent any drips from going into the lid. Now is the perfect time to combine the coffee and the milk. Don’t add the ice until these two are evenly combined. Cold coffee cannot dissolve thick syrup, and your result won’t be as you want it to be: perfect. If the consistency isn’t to your liking, you could always add more condensed milk. I wouldn’t advise you to add too much from the very start – you won’t be able to un-sweeten your drink after that. Finally, you should throw a few ice cubes to this terrific beverage. You have created the perfect summer drink to pamper your taste buds. It is easy to prepare, and it is extremely delicious. To sum up, you should know that nothing compares to a cup of Vietnamese iced coffee. The combination of chocolate-like notes of coffee is improved by the rich, sweetened condensed milk. It’s delicious, indulgent and mouth-watering. No wonder it is served all around Vietnam – this is a delicious beverage that cools you down on hot, steamy days. It is pretty much similar to a dessert. Plus, preparing it is effortless! You have to wait a while for the drink to be ready. But in the end, it’s definitely worth the wait! What do you think? Is the Vietnamese iced coffee a beverage that appeals to your taste? Are you eager to give it a try? Have you tried it yet? Do let me know!